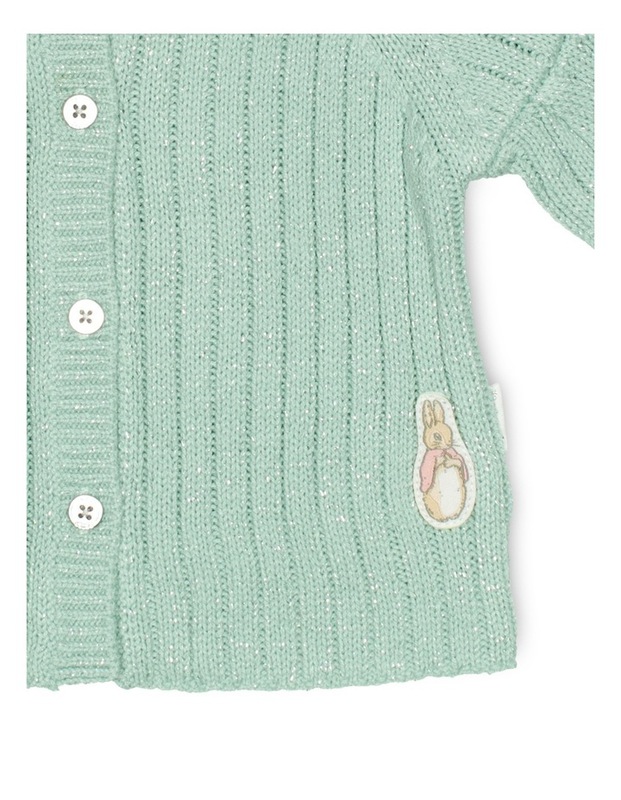 This snuggly chunky rib cardigan features a Flopsey Bunny badge, silver buttons and flecks of silver metallic make this garment sparkle. 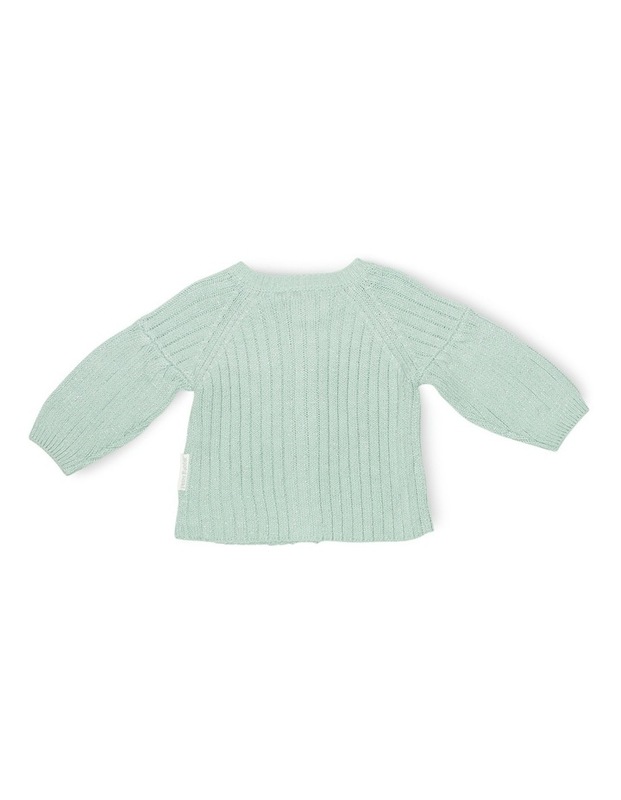 Wear it with the check dress for a sweet winter outfit. 57% Cotton, 35% Acrylic, 5% Polyester, 3% Metallic.